How about I share a card for a teenaged boy today? Whew! What a relief because that is what I have for you. 5. Date stamp. Check, Check, Check, Check, Check and Check. Hexagons may be a thing of the past (I know many are way, way over them), but I still like (okay, more than like) them and I thought they would be a good shape to use for a guy. 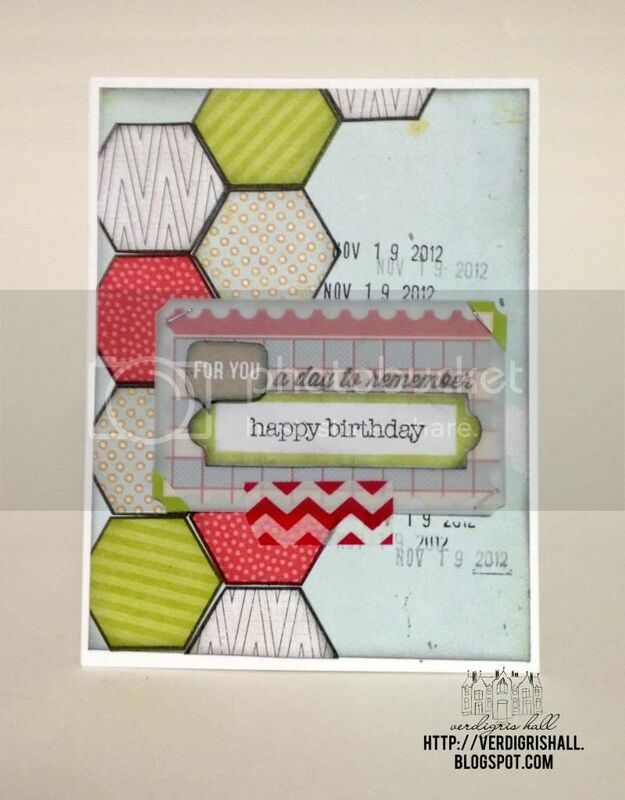 I simply stamped a hexagon outline stamp from Studio Calico's 35mm Kit (from May 2012) several times on patterned paper and cut out and pieced them together on the card front in a pattern I liked. 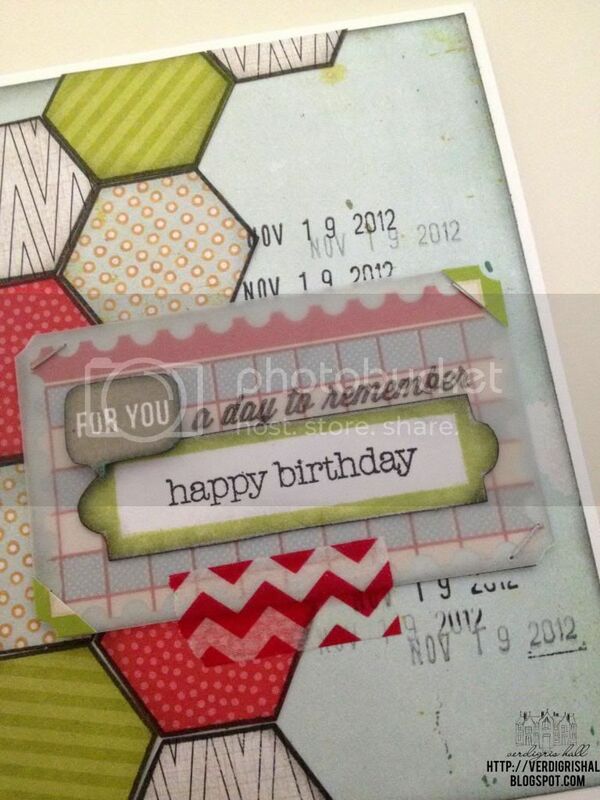 All of the patterned paper came from the Central High Card Kit by Studio Calico (from September 2012). 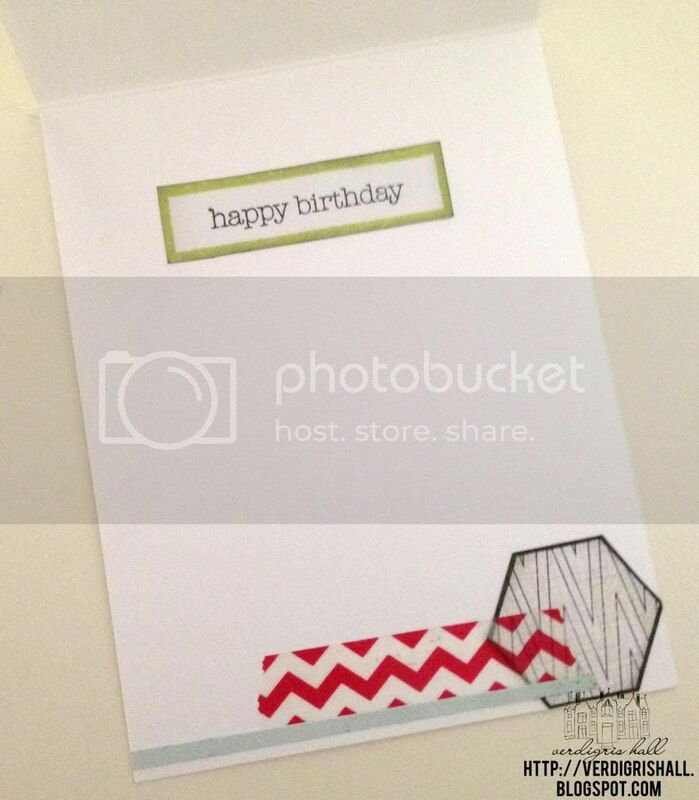 All of the stamps are also from Studio Calico with the exception of the happy birthday which is from Papertrey Ink. Another element added to this card was vellum to soften the bold pattern and color of the sticker label from State Fair, an older collection by Studio Calico. What do you think? Okay even with all those hexagons? Hopefully the teenager thought so. Thank you so very much for taking the time to visit. I hope you have a brilliant weekend!